Tim Forrest has turned skills in sales and marketing into a successful consulting firm that is celebrating 20 years in business. Along the way, Tim has learned many lessons and achieved some satisfying goals. Tim took time to talk with Gabe about his varied career for this installment of Today’s Business Leaders. Tim has always had entrepreneurial tendencies. As a child, he would sell items, and he did very well selling door to door. After earning his degree, Tim started out loading trucks, and he has continued to move up ever since. Over the years, Tim has assembled a varied client list. He has worked with everyone from large corporations to brand new startups. During this time, Tim realized the basic principles are the same. When working with small clients, Tim mimics the success of larger companies by scaling down their strategies to fit his client. These strategies are effective and can help entrepreneurs build their businesses. Experience has taught Tim methods that work, as well as techniques that don’t always do what they are supposed to. Setbacks or failure can be difficult and painful, but that experience is a lesson. Once that lesson is learned, you can move forward and avoid making the same mistake again. Effective relationships require learning how to communicate to a client. Each client is different, so methods that effectively reach one customer may not work for another. Before you attempt to describe solutions to a client, learn about their industry and figure out your client’s needs. Once you have this information, you can effectively solve their problems and explain the solution in a way that makes sense. Tim and Gabe share insightful words about setting goals and how life doesn’t begin just because you reached a goal. Satisfaction can be gained from achieving a goal, but expecting your life to improve suddenly is naive. Goals still matter, because they keep you focused and engaged. Tim closes out the interview by sharing the five S’s he lives by in his career: swag, sampling, signage, stickers, and sponsorship. Digital marketing is essential, but there are so many non-digital areas to take care of when promoting a brand. Tim’s succinct list makes it easy to remember other areas requiring attention when creating a marketing plan. 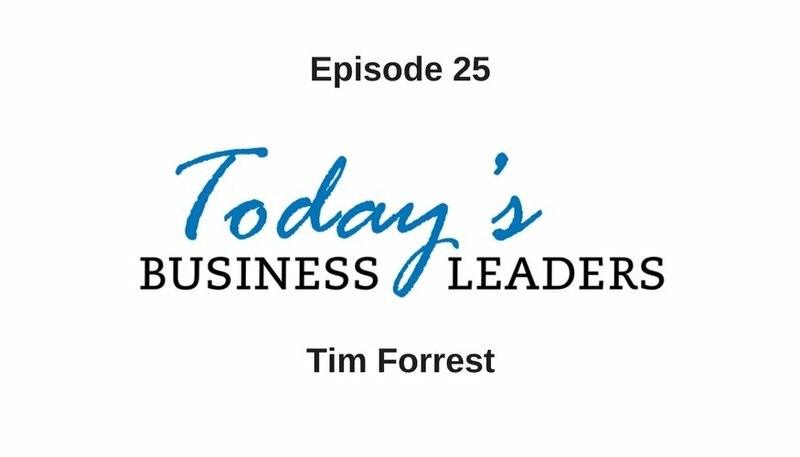 Connect with Tim to learn more actionable advice about business and living. Reach out via email, Facebook, LinkedIn, Twitter and check out his photography skills. Get the entire rundown of Today’s Business Leaders’ episodes and learn more about the solutions and courses available from Gabe’s company, Business Marketing Engine.